Our Spa Domus Áurea has modern and latest generation facilities that manage to wrap our guests in a tranquility and relaxation atmosphere , where every single detail has been highly attended to achieve a unique and unforgettable experience. Our Spa Domus Áurea, which is made as if ancient Roman baths, has a space of 900m². 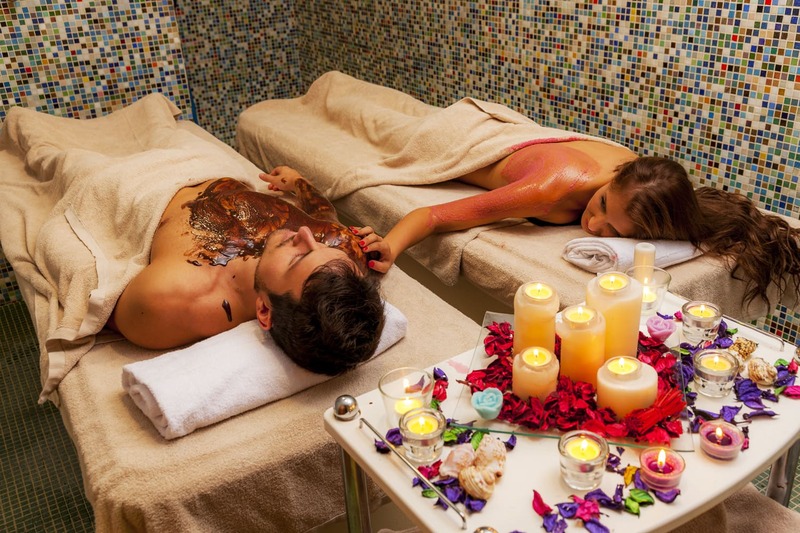 We also offer you the possibility of enjoying health and beauty treatments, including professional massages. Undoubtedly, our SPA near Madrid is an unforgettable experience, and it is perfect to unwind and enjoy as well as for a special and romantic gift. The Spa Domus Áurea is divided into two different areas: the Hydrothermal Circuit and the area of treatment cabins. The latter consists of 8 cabins: one for physiotherapy, three for beauty and aesthetic treatments, two Vichy showers, a Scottish shower and a treatment bathtub. 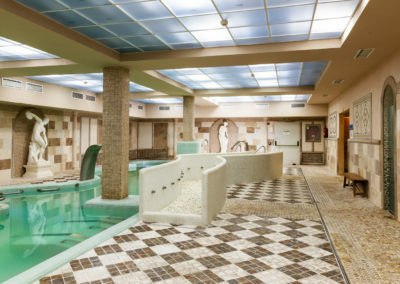 At the Domus Áurea Spa we have a Hydrothermal Circuit where you can enjoy a complete therapeutic tour. In our Spa near Madrid you can find four thematic areas where you will find the calm and tranquility necessary to relax and live an experience to revitalize body and soul. One of the best complements when it comes to a touristic visit to a place as special as Toledo, World Heritage City, is to enjoy a Spa centre with hydrothermal circuit, even more in a place like the one offered by the Spa Domus Áurea, which bring us back to another era, thanks to all the details and nuances that it has in its different spaces. We offer you all the details of each one of the 4 different areas of our Spa near Toledo and Madrid below. 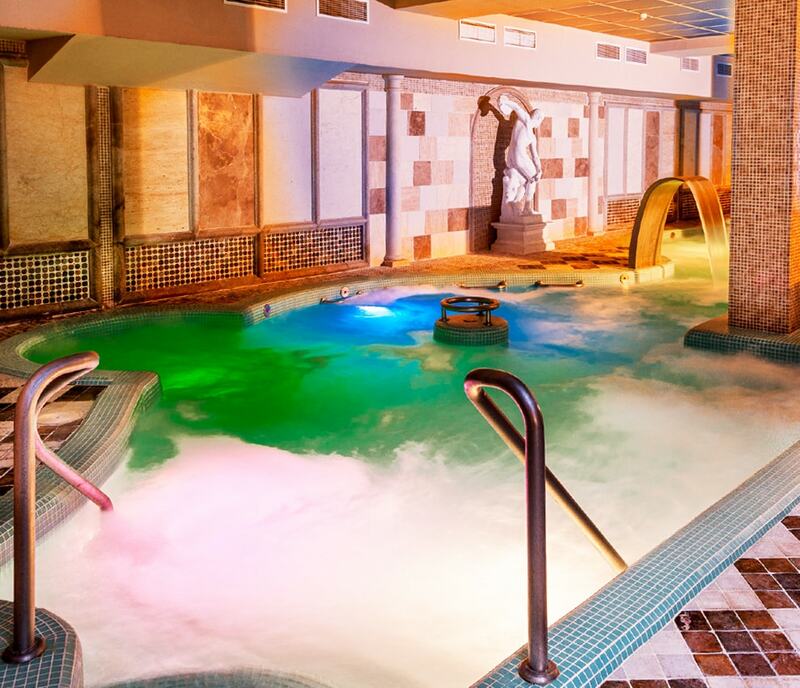 Active pool: In this space you can find thermal jets to relax all the body’s muscles. We have waterfalls, swan necks, jacuzzis, water beds… perfect to recover the vitality in your body. This dynamic pool is located in our Spa near Madrid and is a very suitable solutionnot only for functional recovery but also muscle relaxant. Roman baths: In the Roman Baths we have several spaces for your entire enjoyment. The Roman sauna, the Sudatio and next to it three swimming pools at different temperatures: the Caldarium (hot pool), the Tepidarium (warm pool) and the Frigidarium (cold pool). 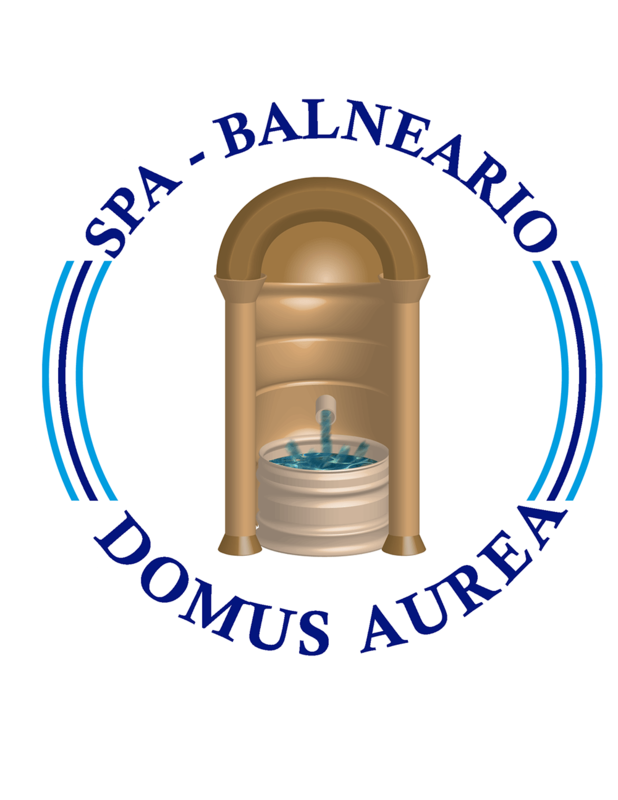 Our Roman thermal baths are the perfect option for those interested in a Spa near Toledo or in a Spa near Madrid. Arab baths: The decoration of this area of our Spa near Madrid will carry you away to the Middle East without leaving our facilities. In our Arabic baths you will find the oxygenating pool (hot), the Finnish sauna, the Turkish bath and the igloo to have thermal contrasts. A whole range of services that will allow you to delight in unique moments in a surrounding environment. Meet our Spa near Toledo. The ‘Villa de los Misterios’ relaxation room: To put the final touch to an invigorating tour, we propose the relaxation room, the ‘Villa of the Mysteries of Pompeii’ with thermal loungers, chromotherapy with starry sky, music therapy and aromatherapy. An experience for your senses in a Spa with great services and well located, in Carranque, near Toledo and Madrid. Preventive and therapeutic treatments for sports injuries, circulatory, respiratory, rheumatic treatments, etc. Aesthetics: facial care, body aesthetics, manicures and pedicures, waxing and physiotherapy. In our Spa near Madrid we have all kind of relaxing massages ready for you. You could enjoy from a facial of 15 minutes long until a oil candles massage of 50 minutes long. Besides, we offer a Hawaian massage, four hands massage, feet massage… We count with the best proffessionals. Rely in our hands and disconect from the worldly noise. You could check all the massage options in the price list below. Relax and wellness for your body. Delight with us this sensory experience. The perfect setting to eliminate your stress and enjoy a peaceful and harmony time. To accede the hydrothermal circuit it is necessary to bring a swimming suit, swimming cap and towel. 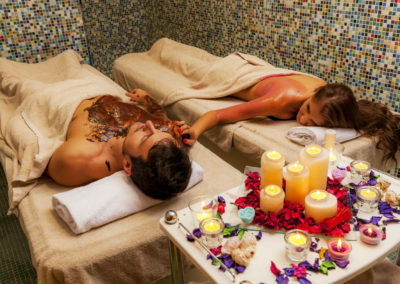 Check clicking our spa great offers: treatments, chocolate or cinnamon aromas, two people packs, kids circuit and much more offers in our Spa near Toledo. Additionally, you could book Spa treatments with lunch or dinner in our restaurant and if you prefer it, with accomodation in our Hotel with Spa in Carranque. What a better way to surprise a loved person than by giving him a gift? In Hotel Comendador we have gift vouchers where the gift that you prefer could be chosen. 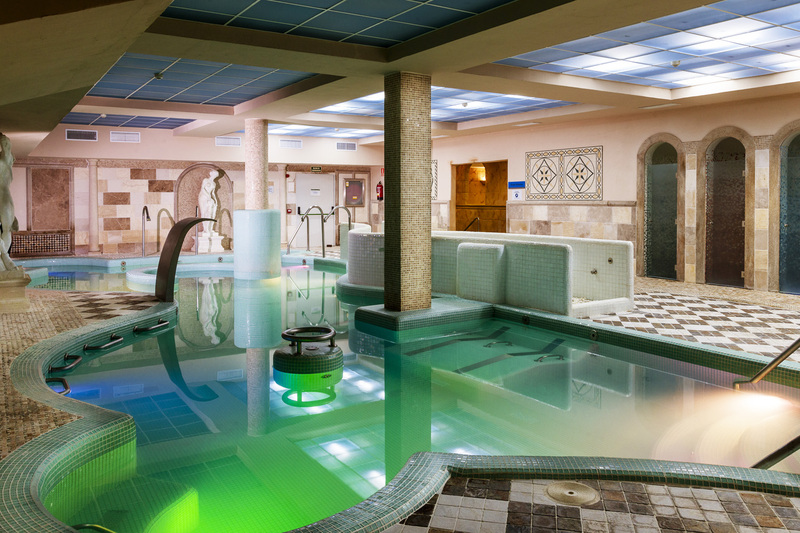 You can choose between the hydrothermal circuit, any health or beauty treatment, massages or even combine them with a stay at our Hotel near Madrid or restaurant, these are the best options we have. You can also give away only Spa, Hotel or Restaurant. Our Gift Checks will be a safe hit, even for the most demanding! 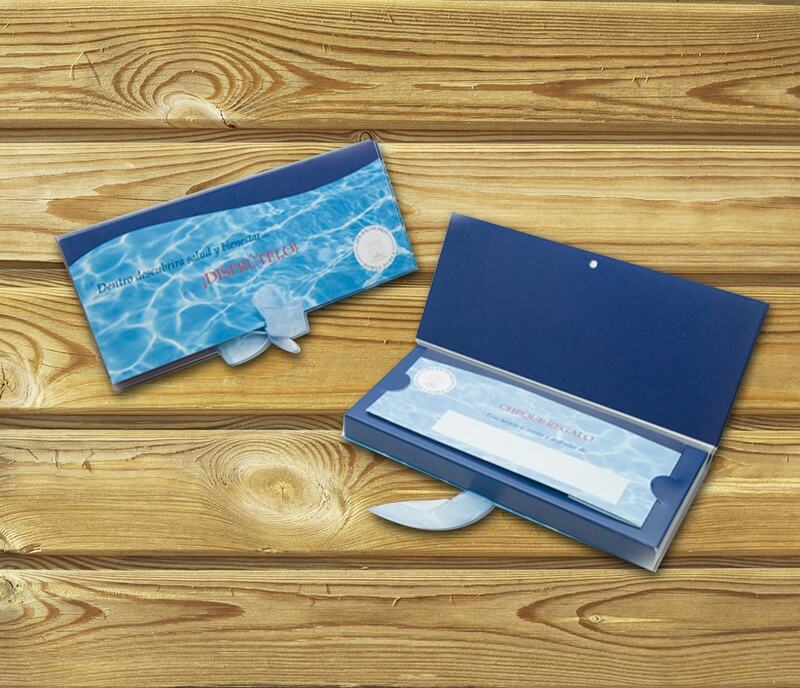 Give away relaxation, well-being and health with one of our gift cards for a fixed amount that you choose so that the person who receives it can exchange it for the treatment prefered, until the end of the outstanding balance. Contact us and we will send you by email. If you prefer, you can also come to pick it up physically at our spa near Toledo. 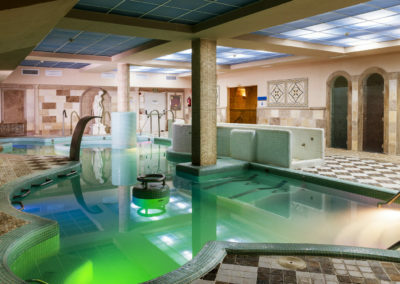 Do not miss the opportunity and give a moment of tranquility and health in the Spa near Toledo. Opening hours: Monday to Friday: 10:00h-21:00h. Saturday 10:00h-22:00h. Sunday: 10:00-15:00h. OPENING HOURS ON NATIONAL HOLIDAYS, BANK HOLIDAYS AND CHRISTMAS.